O’REILLY: Very provocative. And joining us now from Alaska the former Governor of that state and current Fox News analyst, Sarah Palin. So do you agree with Miss Laura? If you can’t get the fire lit underneath this base and get them convinced that Barack Obama’s lack of a plan to get us out of these economically woeful times, if you can’t get your message through that filter of the media, then we’re in a world of hurt. O’REILLY: Ok. What is the Republican Party not doing based upon the convention and they — and the race so far that they should be doing? PALIN: We’re not explaining to the rest of America who thinks that they’re going to get a bunch of free stuff from Obama that you have a choice. You either get free stuff or you get freedom. You cannot have both and you need to make a choice. And if we could explain and get that message through to people that there is no such thing as a free lunch and that we are an insolvent nation when you consider us being $16 trillion in debt, we’re broke. We can’t keep continuing down this path. O’REILLY: Is it — is it possible, though, that the country has changed with 50 percent of American homes receiving some kind of welfare means tested? Not — we’re not talking Medicare, Social Security. Half, all right, of the population now somewhat dependent on the federal and state governments. Is it possible that the message is, I want the stuff, I’ll sacrifice freedom? Is that possible? O’REILLY: Ok so it is possible that — no matter how vehemently the message is said, ok because I don’t know if that’s to you or not. But I know the demographics are changing and I know the Obama administration is basically targeting Hispanic Americans, women, African-Americans and labor union people to try to get the coalition of the willing to win the election so that the population is changing. The second thing is, should Mitt Romney go after Barack Obama more — in a more personal way? Should he use words like incompetent, dangerous, socialist, those kinds of buzz words that would get an enormous amount of attention? That would lock people in, should he do that? PALIN: Well and they’re not just buzz words, those are accurate descriptions of our commander-in-chief. O’REILLY: So you’re saying yes, he should do that? PALIN: Yes, he should be very aggressive and he should be adamant in his attacks on Obama’s record, which is so dismal, his plan or lack of a plan of Obama’s to get us out of these woeful times. Yes, he needs to be severely aggressive in his — in his articulation. But listen, you know, you bring up those demographics and what — what they’re representing in terms of perhaps wanting some free stuff. You need to remember, America is still center right. Proof of that is look at how Obama has to couch his message. He has to lie to pretend that he is for fiscal sanity and strong national defense and those center right positions that the vast majority of Americans stand for. Obama has to pretend like he is that in order to get that base. O’REILLY: But you got to use those buzz words. You got to say socialist, you got to do that to get people’s attention. PALIN: You — and what they have to do is they have to lay out the choice for the American public. They have to tell us, are you for empowering the individual or are you for this nonsense of Barack Obama’s of growing this dysfunctional debt-ridden, $16 trillion in debt, this government, which one do you want, people? Governor Sarah Palin posted a message of congratuations to Governor Mitt Romney on his choice of Congressman Paul Ryan as his selection for a running mate. Palin also pointed out President Obama’s record of dismal failure, citing example after example of his failed policies. e vision of an America that is fiscally responsible, strong, and prosperous – an America that understands and is proud of her exceptional place in the world and will respect those who fight to secure that exceptionalism, which includes keeping our promises to our veterans. Obama’s vision for America will make the rest of the country look like California, minus the beautiful scenery and warm weather. We can’t afford Obama’s vision. Our children can’t afford it. Today we are over $15 trillion in debt and running up trillion dollar budget deficits year after year for as far as the eye can see. And our “leaders” have no plan to stop it! President Obama and this Congress don’t even have the fundamental blueprint—a budget!—to outline where they intend to take us as they merrily roll along with their out of control spending and constant increases of our debt “limit.” Our debt to China alone is more than we can ever hope to pay off in multiple generations. Such debt and dependence on foreign nations weakens us in countless ways. And yet our government keeps on spending despite the risks and despite conscientious, hardworking citizens telling them to just stop it. Our debt is growing by $3 million per minute. This debt, in conjunction with Obama’s massive government over-reaches like Obamacare, has strangled the private sector, which in turn has stifled job growth and slowed all economic growth. The only way to get our country moving again is to get back to basics like normal people do with our home and small business budgets! That means we must live within our means, get government out of the way of our job creators, develop the God-given natural resources we have been blessed with to provide real jobs and real energy security, and stop growing government and wasting taxpayer money on D.C. cronyism and useless stimulus kick-backs for favored donors. Barack Obama’s record is one of dismal failure, which is why he isn’t talking about it. He would rather spend his time demonizing his opponents. The simple fact remains that Mitt Romney is not responsible for the dire state of our economy or the corruption and incompetence of the current administration. Over the next 86 days, Barack Obama will try to distract us from his record. Many in the media will roll along with him in this mission. We must not let them continue the deception and distractions, and we must not be afraid to call the President out on his lies. His entire record in office exposes the false promises he made four years ago. So, let’s take a moment to remember what candidate Obama said just four short years ago. Candidate Obama promised us fiscal prudence. But President Obama’s reckless spending and lack of fiscal leadership has led to the downgrading of our nation’s credit rating for the first time in history. Candidate Obama decried reckless spending and promised to cut the deficit. But President Obama and those in Congress who control the purse strings and “go along to get along” have tripled it. President Obama’s proposed budget was so absurdly and wildly irresponsible that not one member of Congress, Republican or Democrat, voted in favor of it. And yet the Democrat controlled Senate still refuses to pass a budget itself, and this refusal has been going on for years now. That is irresponsible and, much more, it’s unconstitutional. Candidate Obama promised us a “smarter government,” but President Obama has created a government that’s not too big to fail, but too big to succeed. Candidate Obama promised us a plan for American energy independence. But President Obama has forced American taxpayers to subsidize bankrupt green energy companies with ties to his campaign donors. And when it comes to the energy we actually use to fuel our economy, President Obama’s administration blocks drilling and drags its feet on the permitting process. Meanwhile, he supports foreign energy developments, but not American made energy development. His administration opposes everything from drilling in ANWR to building the Keystone Pipeline to coal plants, but he’s all for subsidizing offshore drilling in Brazil and sitting back on his thumb while China moves in to pursue oil deals with Canada because his administration blocked responsible energy infrastructure development. Candidate Obama promised us “the most transparent administration in history.” But in addition to refusing FOIA-requested documents, President Obama’s administration regularly holds meetings outside the White House and off the official White House visitor list with lobbyists and corporate interests they don’t want us to know about. Candidate Obama promised to unite all America, but President Obama has cynically divided us again and again in his efforts to win reelection by playing identity politics and class warfare and pitting one group against another. Candidate Obama promised us a “fundamentally transformed” America, and that is the only promise he’s delivered on. We can see now what his idea of “hope” is. Now we want change. He has failed to lead, so We the People must lead. And our leadership starts at the ballot box on November 6th. Please continue to focus on the presidential race and on helping Mitt Romney and Paul Ryan, but it’s also imperative that we get involved in the nation’s important House and Senate races. These candidates need our help to ensure that our next president has a responsible and ethical Congress that actually gets things done for America. Now on to November! In a rather hard-hitting piece, Robert Ringer takes Mitt Romney to task for his “tepid” “RINOsaurus Rex” ways, his inability to capture the endorsements, as of yet, of Governor Palin and Representative Ron Paul, and his failure, to date, to invite them to speak at the Republican National Convention. Now, Governor Palin has said numerous times that she will support whoever the GOP nominee is, for she firmly embraces ABO–Anybody But Obama. I’m sure she will do just that. However, I believe Ringer makes some very good points, as not all of the Governor’s supporters are as gracious as she is, and many see this perceived Convention snub as the last straw, since Romney’s people have a habit of attacking Governor Palin. If it weren’t so tragic and there weren’t so much at stake, the tiptoe strategy of the Romney Tepid Team would actually be funny to watch. Here you have a group of archetypal RINOs who were clever and tough enough to figure out how to destroy the relatively weak Republican primary field while Romney patiently waited his turn – next in line behind John McMush – to be anointed by the Republican establishment. Since the Republican debates ended, however, Romney has been so weak-kneed that he’s barely been able to keep pace with a president whom everyone but the most naive among us now realizes is a dedicated Marxist. Romney and his Tepid Team apparently feel confident that he can quietly slip through the clogged media filters all the way to Tampa, get the official nomination, then squeak out a win in November without making a wave in the process. But it may not be quite that easy for Romney, because he still has to figure out how to deal with those pesky P & P problems: Sarah Palin and Ron Paul. You can just feel the fear emanating from the Romney control-and-command center at the thought of these two highly principled liberty lovers roaming around loose. To the great annoyance of the Republican establishment, Tea Party favorite Sarah Palin has never officially endorsed him. Worse, on numerous occasions she has warned the Romney people that they had better pay attention to Ron Paul’s message. The truth be known, Palin’s ideological beliefs are a lot closer to Ron Paul’s than to Mitt Romney’s. The gonadless Romney team knows it cannot afford to allow Palin to speak at the convention, because she might – Gasp! – say what she really believes about the whole odoriferous situation that Republicans have once again managed to get themselves into. Worse still, they haven’t even officially invited Palin to the convention. This is beyond a slap in the face. But, in a spirit of charity, let’s be sympathetic to Mitt Romney’s dilemma. Watching a turtle cross the road would be more exciting than listening to Romney speak in Tampa, so how in the world can the Tepid Team afford to take a chance on Sarah Palin’s working the crowd into a frenzy? After all, a Palin-induced frenzy would be a stark reminder to true conservatives that the guys in the over-starched white collars and size small jockey shorts have once again succeeded in commandeering the Republican nominating process – and we all know how that usually plays out, even if they win. If Ron Paul and Sarah Palin do not endorse Romney, and if a large number of their supporters stay away from the polls on November 6, the Marxmeister in the White House, who did everything he possibly could to self-destruct, could actually achieve the unthinkable: win reelection! No, not that Lord, although He might also agree. Jeffrey Lord, of The American Spectator, joined with others today to express disapproval in what appears to be Mitt Romney’s calculated decision not to invite Governor Palin to speak at the Republican National Convention. Now, these aren’t people who are doting fans of the Governor with an agenda to get their favorite conservative to the big dance. Rather, these are people who understand what is at stake and what she brings to this election. I hope Romney is paying attention because snubbing Palin is a nonsensical decision. So now come all these news reports (just for example, here, here, here, and here) that Team Romney has decided deliberately — deliberately — to trash Sarah Palin by not inviting her to the Tampa convention. And they expect people to rally to their candidate when they are out there sticking their finger in the eye of the party’s base? Sending a message to the Tea Party to go take a flying leap? What are these wizards of smart thinking? Historically, people who are trashed by their own party employ the one entirely fatal weapon they have at their disposal: they stay home in November. What should be done? Having had the opportunity to once upon-a-time work on this kind of issue myself, here’s the answer. First, quickly and publicly remedy this by graciously inviting Governor Palin. Second. As the 2008 nominees, Senator McCain and Governor Palin should have some place and/or role of honor at the convention — in this case, yes, speaking slots for both. Get Governor Palin invited now. Post haste. She was the first woman VP nominee of the Republican Party. She has more than earned simple, basic respect. Don’t add to Governor Romney’s problems by making him seem like an ungracious, small man. He quite decidedly isn’t. But the lights are on now — people are paying attention. He has real enemies out there. He will need all the help he can get not just to win, but to govern. And that specifically includes Governor Palin. Romney has time to turn this around, and perhaps he will demonstrate, in this situation, what he has demonstrated in the business world: that he is capable of making the right decision at the right time. We the people are waiting. The political world is all abuzz with discussion of the fact that Mitt Romney has not yet invited Governor Palin to speak at the Republican National Convention next month in Tampa, which I covered here. I just knew the meme would be how irrelevant she is now, and I knew her detractors would jump up and down at the news. The truth is anyone with a modicum of common sense knows that no one wastes time writing articles about irrelevant people to express how irrelevant they are! The fact that they write about Governor Palin proves she’s relevant. See, they hurt their own credibility with their own actions. Furthermore, anyone who doesn’t acknowledge that the Governor will light the Convention on fire, draw mega media attention to it, and articulate the conservative message with a boldness no one else possesses is seriously deranged, in denial–or simply a hater. Just ask anyone who has seen her speak in person, within the last few months. Or ask one of the 1,500 people who gathered in 100 degree heat to see her speak in Michigan last weekend. Governor Palin is still very much a movement leader with “rock star” popularity, and the lefties can’t stand it. Governor Palin didn’t get passed over by Mitt Romney and the RNC because she’s losing her influence, quite the contrary. If Governor Palin did attend the Republican Convention, and delivered a prime-time address, she would outshine their candidate a hundred times over. She didn’t mean to upstage John McCain in 2008, but she did, just by being herself. There is no doubt that Romney’s advisers aren’t aware of that. It’s nothing more than a left-wing pipe dream to think she wasn’t invited because she’s losing her stature. The bottom-line is that she wasn’t invited to the GOP Convention because their 2012 nominee hasn’t extended an invitation. It fits the way Mitt Romney has treated Governor Palin ever since his staff started publicly trashing her before the 2008 election. It also fits the way the GOP establishment treats outsiders and reformers. I hope The Atlantic is proud that they did their part to assist the good ole boys in the GOP establishment, cover their backsides, with this scatterbrained hit-piece. Read Stacy’s full article here. 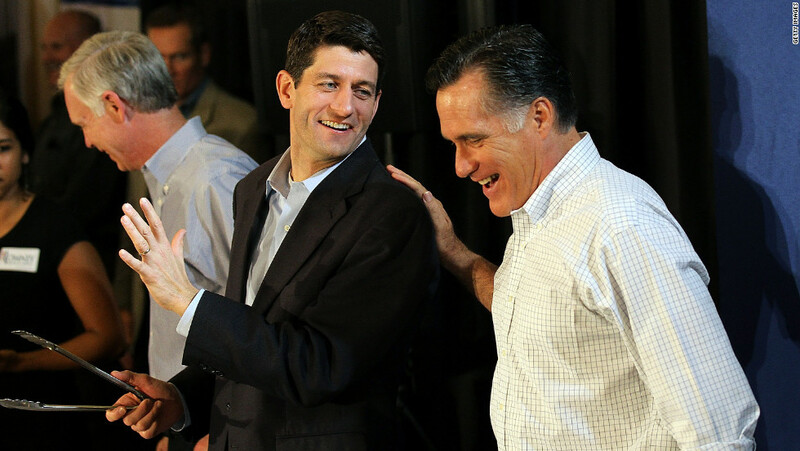 The GOP needs all the excitement it can get with Mitt Romney as the nominee. It also needs a true conservative message shouted from the rooftops to combat the leftist nonsense President Obama is spewing all over the nation. Who better for the task than Governor Palin? Hopefully, Mitt Romney and the GOP establishment will come to their senses, put egos aside, and do the common sense thing: invite the de facto leader of the tea party movement, the most recognizable voice for conservatism, and the only woman to ever be on a Republican ticket for vice president to speak at the Republican National Convention. Like I said, it’s a no-brainer. The redoubtable crusading journalist Robert Stacy McCain of “The Other McCain” blog fame has issued the Tweet below in response to the Newsweek article which basically sets out the stonewall response from the Romney team regarding an invite to Sarah Plain for the Tampa convention. That this is an act of, in my opinion, political hara-kiri is getting huge traction at the various Palin- supporting sites. They are not happy to say the least. What is in Romney’s mind is beyond me, and apparently many others too. R.S. McCain has over 13,000 followers on Twitter, and his blog is read by millions over time. For him to call for ameliorative action by Romney must, surely, be a warning sign, even if the Romney team chooses to ignore the mass Palin-supporting sites like Conservatives4Palin or that Palin has over 3 million followers on Facebook as I set out below. The Romney campaign has not invited former Alaska Governor Sarah Palin to speak at the Republican convention in Tampa. The Romney folks have not even invited her to attend the party’s premier event. It’s no secret that Sarah Palin does not TRUST Mitt Romney to hold steadfast to constitutional small governmental principles, no-one does. It is the same reason why Mittens became the ‘Anyone But Obama’ candidate by default after failing to get more than 40% support from self-identified Conservative Republicans during the primary season. If Romney disparages someone who holds the trust of the constitutional majority, well, he’s toast. As is clear from the huge amount of negativity from the Palin supporters blogs, including the very influential Conservatives4Palin site, the Newsweek article (at the site AT THIS LINK with acerbic comments following the post) which shows Romney team members as stonewalling a Palin Tampa invite, has stirred up a hornets nest. “Palin 4 America” site’s take on the matter-and it not complementary to Romney’s team. As I have said, if Romney wants to insult the 3 million plus Palin admirers on Facebook, plus the Palin activists who were willing to vote for him as ABO-then on his head be it if they don’t show up to vote in November. Earth To Romney: What The Hell Are You Thinking? Ok, so I’m lounging by the pool today watching my kids play and a tweet comes across my phone with a link to a well written article by Peter Boyer. Now I’ve met the Romney people here in Colorado so I’m not surprised that Gov. Palin hasn’t been issued an invite but seeing it writing just makes me stop and wonder what the hell Romney is thinking. Does he want to win? Gov. Palin is still one of the most sought after Republican or conservative speakers. She draws enormous crowds. She sells out speaking engagements, her books hit the best seller lists, she gives ratings spikes when she appears on TV and she has the biggest grassroots following in the GOP. People listen to her. People relate to her. An insult and slap at her like this is an insult and slap at every conservative out there. It’s a slap at the GOP base itself and that is no way to win votes. Gov. Palin EXCITES, INSPIRES, and MOTIVATES the more thanjust the base. How do I know she inspires more than the base? Because I was lounging at the pool next to 3 of my best friends today. Of those 3, one is a Romney supporter, one is completely non-political and one thinks Al Gore is the bomb (I know, we love her anyway). They have all come around to like and respect Gov. Palin and my Republican friend who supports Romney loves Sarah. I read parts of the article to them and they were all in shock. They couldn’t believe it. They knew politics was dirty but usually it stays behind the scenes and publicly everyone at least plays pleasant. My Romney friend looked like she had seen a ghost. She also provided the title to this thread, lol. Her first thought was that he will lose if he follows thru with this. I can’t argue with her. I don’t think this is a smart move. We discussed that while Romney and the GOPe may think they have the luxury of playing petty intra-party partisan politics, it will cost them the election. Maybe another 4 years of Obama for those people isn’t that big of a deal but for people like me and for my kid’s future… everything is on the line in this election so for Romney to be playing these games is offensive. I will make one correction in Mr. Boyer’s article. Gov. Palin did not reimburse the RNC for the clothes. She did not purchase the clothes nor did she keep the clothes. The clothes were the property of the RNC and they returned the clothes. You can find the truth of that story here as told by the stylist Lisa Kline. With the Republican National Convention at the end of August in Tampa, many have wondered what role Governor Palin will play. Just a smidgen of common sense would tell Mitt Romney and the GOP establishment that she needs to have a significant role there. The former Vice Presidential candidate should be addressing the audience in a speech that would surely electrify, something Romney simply isn’t able to do. If Romney is as bright as some say he is, he should surely be insisting on such a thing. So far he has not. Team Romney may be well advised to consider bringing Palin inside the tent. Whether she’s in Tampa for the convention or not, she will be out there somewhere, and talking. The Republican National Convention will be held August 27th through August 30th in Tampa, Florida. Sarah Palin is smart, decisive and she understands the needs and the dreams and aspirations of the heartland of America. So when she urges Republican presidential candidate Mitt Romney to “Light our hair on fire”, it would behoove the presidential aspirant to listen. Throughout Romney’s political career, it is safe to say that no one would ever accuse him of possessing rousing oratory or that he has ever lit an audience on fire with flame and inner passion. But, that is probably not as essential in this race, as having the ability to connect in a personal way with each one of the millions of voters who walk into that voting booth to cast their vote. Each voter needs to feel, Romney is right for their family’s needs, and that his administration will build a better tomorrow for their family, sooner rather than later. Sarah Palin has bottled that formula for inspiring the conservative and independent American electorate, because she not only speaks from her heart, but Palin lights a flame underneath each person who listens. She encourages them to get up and stand up for an America that is rich with values, history and principled purpose. 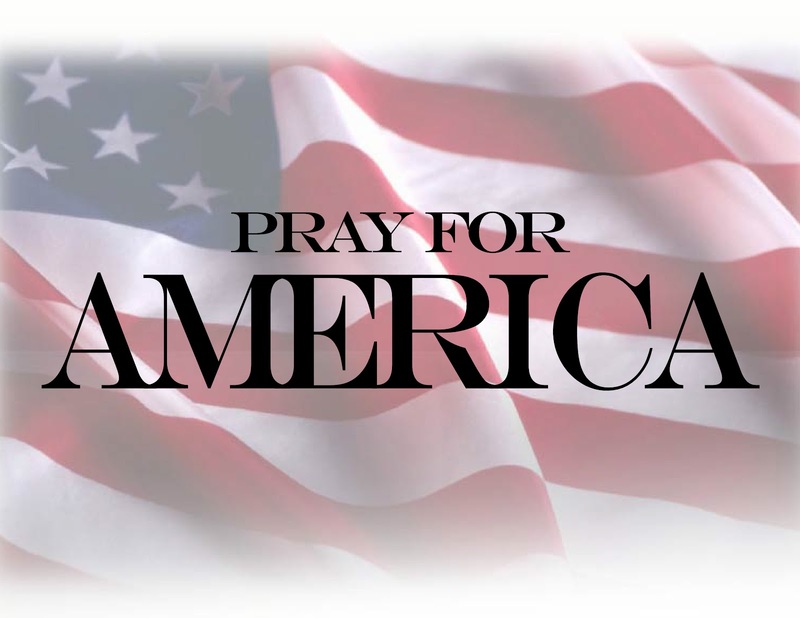 Palin speaks to the heart of an America that Americans remember, full of grandeur and bristling with vibrant spirit and tenacious ability to protect the family, and rebuild from an inner spiritual strength endowed by God. Mitt Romney should seriously consider using Palin’s suggested playbook and truly demonstrate from within his will to defend and protect America’s families and their future. He must jettison the image of being perceived as a candidate who is walking a politically safe tightrope to the RNC Convention and the fall campaign. Sarah Palin has it absolutely right, as she stated on Fox News Network, Sean Hannity’s show Tuesday night. She stated that Romney has the message right. Yet, that is only part of the battle. In order to carry the independents and conservatives votes across the Electoral College line in November, Romney has to, “Remind us how important it is that we get engaged in the presidential election because it is the election of our lifetime,” indicated Palin. Former Governor Palin is right on point. America under President Obama is slipping into a socialistic induced economic quagmire that worsens with each day. Romney has to show America that he is willing to not just tell us what is happening to the nation, but “’Light Our Hair on Fire’,” so that we can see it, and more importantly feel it. I must admit to having read some bizarre conspiracy theories about Sarah Palin, because in seeing what these nuts write, one gets a sense of just how thoroughly out of touch some people have become. For far too many rank-and-file Republicans, it’s all a cult of personality. Few are concerned about fundamental principles, to such an extent that they are unable to linger over even the most obvious facts that might stand in opposition to their odd-ball theories. I have been sent a link to a group of such odd-balls on Facebook, where one may find the most obtuse concoction of cobbled-together propositions embraced by psychological delinquents I’ve seen since the anti-Palin bloggers I have covered in the past. It’s a veritable nexus of dumb, and it seems to be composed of Romney supporters who seem to believe Sarah Palin is an evil genius, setting up for a 2016 Presidential run in which she expects to face Hillary Clinton in what these brain-addled doorstops term a “mud-wrestling match.” It would be funny if it weren’t for the fact that they have nearly one-hundred members. This means there many more deluded, psychologically broken people in Romney’s camp than one might otherwise expect. Their basic theory? Sarah Palin is trying to undermine Mitt Romney in 2012 so she can run in 2016, and she’s being aided in that venture by none other than Rupert Murdoch. Yes, there are certifiable mad-caps in the GOP, too. Before any of the Palinistas reading this get too excited, I’d like you to have a sample of the intellectual rigor of the people who are positing this theory. They weren’t satisfied to go after the Tea Party, as they attack Mark Levin for his support of Sarah Palin, and generally regard Palinistas as brain-dead zombies. Yes, they are leaping to the defense of Mitt Romney from the she-devil Sarah Palin, who they will tell you is a socialist. That’s right, for these folk, Sarah Palin is a socialist. Try not to soil your computer screen with spewed coffee as you laugh at these flakes. I promise, you will read their ‘critiques’ of Governor Palin as very nearly a parody of leftist critiques, and I think this demonstrates my point from earlier Saturday. If they had been mere Romney-bots, we might not have spotted the fact that these are full-bore kooks every bit as bad as any on the left. It’s refreshing to have one’s assertions born out within the space of an afternoon. Editor’s Note: While it is clear that these people claim to be Romney supporters, it is certain they aren’t doing this with the blessing or endorsement of the Romney Campaign. Then again, he couldn’t tell the SuperPacs what to do when they were bashing Newt Gingrich, either. (Wink Wink) They could also be Obama-shills, attempting to stir up trouble between the Palinistas and Romney-bots, but at least on the surface, these appear to be genuinely nutty Romney supporters. Go figure. Governor Sarah Palin appeared with Sean Hannity last night on the FOX News Network. Palin touched on several topics including the proper roles of our branches of government, her recent Right Online appearance in Las Vegas, the ongoing Fast and Furious investigation as well as words of wisdom for the Romney campaign.